Ernest was a lifelong member of Holy Trinity Church, Sloane Street, London, where he frequently served as an usher and where he also sometimes read the lesson. His Christian faith was exemplified by his constant charitable activity, which included spearheading the creation of the Disabled Soldiers’ Embroidery Industry. Ernest believed that he could read someone’s past and sometimes their future by staring intently at them. He believed in the power of amulets, and wore jewelry for luck; his pearls, various rings, and a jade pendant. He practiced palmistry and regularly consulted a palmist. 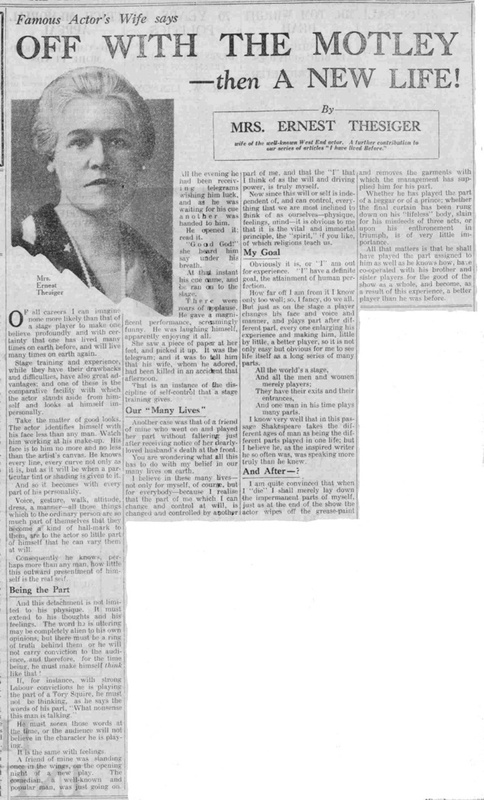 Ernest may have been a Theosophist, as was Janette. The following article by Janette expresses some of the ideas of Theosophy. 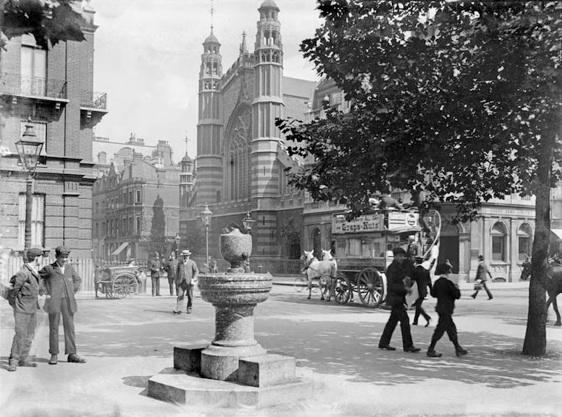 View of Sloane Square and Holy Trinity Church, c. 1905. “Out of a tray of lovely pendants I picked one, which I most admired. ‘That will cost you £3,’ she said. Surprised at finding it so cheap I said that I would buy it, but when she came to enter my purchase into a book she found that she had made a mistake and that the price was £30 and not £3. So I had sadly to give up any thought of possessing it. But I was reckoning without the charming saleswoman. ‘You have bought it for £3,’ she insisted ’and you must have it for £3.’ In vain I protested - it is the law she told me, and nothing that I could say made the least difference. I must have it. And have it I did. ‘It will bring me luck I know,’ I said and hung it round my neck. When I got home there was only one, not very interesting-looking letter awaiting me. Suspecting a bill I opened it reluctantly, but the contents of the letter were quite unexpected - almost unbelievable. It was from a lawyer who wrote that he had been instructed by a client to enclose a cheque for £50 on condition that I didn’t ask where it came from. In vain I racked my brains to think of anyone who could have wished to make me a present in this way, and when I wrote to acknowledge the cheque begged that I might be told the name of my anonymous benefactor - but to this I got no answer and to this day I cannot even hazard a guess as to their identity. Ernest Thesiger, from his unpublished memoir, I Was.